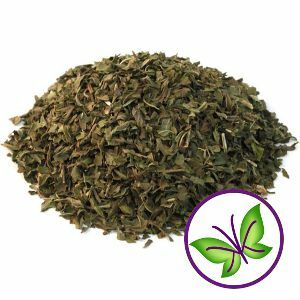 White Peony Tea is delicate tea with a sweet floral aroma that offers the great benefits of tea with the least amount of caffeine and almost no astringency typical in black teas or the “grassy” flavor common in green teas. As its name suggests, White Peony is a white tea although it is not made with peony. White teas are the least processed and least oxidized of all the teas. Bai Mudan (白牡丹; bái mǔ dān), as it is called in China, originated from Fuding county of Fujian province. Like other white teas it is made from the plucked tips of the Camillia sinesis tea bush. 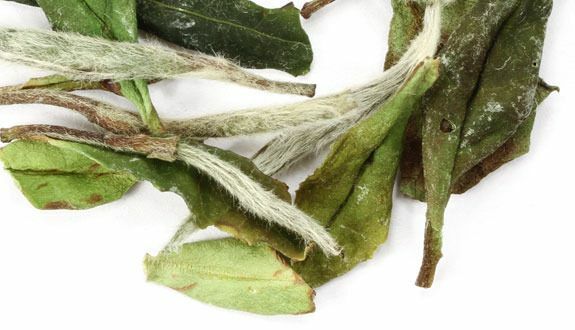 Unlike other white teas though, which use only the silvery buds of tea leaves, White Peony is comprised of a single silvery leaf shoot along with its two closest surrounding tea leaves. The young leaves impart a deeper color to White Peony tea and give it a more rounded flavor. 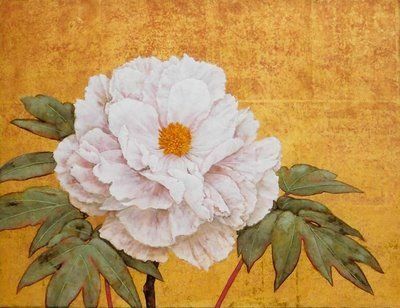 When brewed the two leaves unfurl around their downy, white buds it is said to resemble a peony flower, hence the name. The picked tea leaves are left in the sun to dry for a couple days and then piled for oxidation for a very short time, any where from ½ and hour to 3 hours. After being oxidized, the tea is dried in ovens and very gently handled for storage, as any damage to the leaves can cause further unwanted oxidation. White Peony is best brewed with mineral water heated from 158° to 176° F (70°- 80° C). The tea infusion will be pale green to golden in color and give off a light floral aroma. 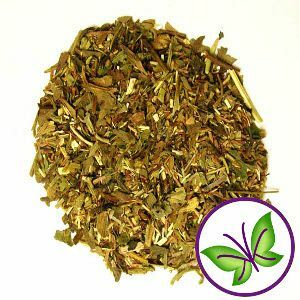 White Peony has a pleasant mellow flavor with an enjoyable balanced mouthfeel. Delicate, light flavor will yield a tasty yet subtle Kombucha. I wanted Organic White Peony Tea for my KT since it comprises the least amount of caffeine. As an avid tea connoisseur since the mid 60's I wanted the best for my palate and health. Not only did my order arrive early but as expected upon opening my tea an exquisite aromatic smell awaited me. Needless to say, my Kombucha brew of this tea along with Hannah's Se Chung Special Oolong Tea tasted outrageous! I highly recommend Organic White Peony Tea in brewing and simply drinking it. This morning I drank 2 cups with raw honey to keep me warm and happy. Thank you, Hannah! We alternate this with Hannah's blend- it is a very delicate flavor with tiny bubbles (in our continuous brewer). Our favorite! We have to alternate so that the "mushroom" gets enough caffeine, otherwise, we would brew this every week! Really looking forward to tasting what this tea does for my Kombucha favor! KC thanks for the fast delivery!